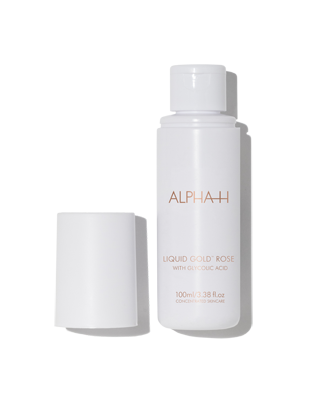 Alpha-H Liquid Gold Rose is a limited-edition skin resurfacing treatment that reinvents the original Liquid Gold. The formula combines richly aromatic botanicals, antioxidants, minerals and moisture boosters, including rose, sacred lotus and orchid petal. Combined with glycolic acid and a low pH delivery system, the treatment instantly stimulates the skin’s cellular metabolism to resurface the skin. It hydrates and conditions the skin, making it more suitable for those with delicate, dry or sensitive skin. I got this after reading about Alpha H as a brand and all the positive comments relating to their products... and thought, I need to start looking after my skin now that I'm over 40 (yes, I know, i've been quite lazy about it up until now).. So lets give a couple of their products a go.. I love anything gold, and the name Liquid Gold Rose sounded so opulent and luxe.. It smells amazing, strong but not too strong.. and is beautiful and light to put on.. my skin (combo dry/oily) just drinks it right up.... Yes, it feels a little softer the next day, but other than that, I can't really see what other difference it makes to my skin.. I don't think it looks any different after I've used it... Don't think I'll be buying again, especially for the price..
As a long time user of the original Liquid Gold, I was eager to try the rose version, and I'm glad I did, because it has become my new favourite AHA treatment. It is quite heavily scented, which I'm not too keen on, but luckily the fragrance doesn't seem to hang around on the skin. I do find it a bit more gentle than the original Liquid Gold, and it seems to play better with my combo/acne-prone skin, which I didn't expect! While it is more hydrating than the original, I still wouldn't use this alone at night. I have combo skin, and find myself oilier in the morning if I don't moisturise. I really like that I'm giving my skin a really good exfoliation, while feeling that it's being nourished at the same time. Use every two-three nights, following with moisturiser/oil/sleeping mask, maybe just wait a little while to apply them to get the maximum benefits from the glycolic. Acne-prone skin, and those who find the original Liquid Gold a little much. I have used Alpha H's liquid gold on and off for a few years. I decided to try the liquid rose gold to see if there was any noticeable difference between the 2 products ... and there is!!! I have found my new fave product! The Liquid Rose Gold is applied exactly the same as the liquid gold, a small amount on a cotton pad and gently wipe across the face and neck area at night time. I use it every 2 to 3 nights. It's a beautiful skin exfoliant without the actual scrubbing effect on the skin. In the morning my skin is radiant, smoother and moisturised. I don't apply any night cream over the top, just the liquid gold. I find this product to be brilliant for my skin. Although I've never tried the original Liquid Gold, after reading an overwhelming majority of rave reviews for the original, I decided on purchasing the Rose Gold version as it was meant to be more hydrating than the original and came with a good deal inside a Christmas gift pack. For background info, I'm in my early twenties, with dry, dehydrated skin and had only recently made my start in the AHA world, and wanted to try Liquid Gold as it is extremely popular and has definitely reached cult status. I'll say this now...this product was just not for me. As you can probably tell by my one star on this review. I applied the product as instructed - with a cotton pad on alternate nights after cleansing, and did not apply anything further (like moisturiser or facial oil) until the product had properly dried. However, my skin hated this stuff. My skin was always parched and red and blotchy after using this. This product claims to be extra hydrating (compared to the original) and suitable for delicate, dry and sensitive skin. My skin has never been sensitive, and I had also been using a glycolic cleanser with a 14% concentration before I switched to Liquid Gold, and I never has any issue with that. I thought maybe every second night was too much for me, and so I started dropping the days in between, but to no avail - always resulting in extremely dehydrated skin, even more noticeable pores and red blotches after application lasting for nearly 24hrs. I then realised it was likely the high alcohol content. I don't think I've ever used a product with such a high alcohol content - it's the second ingredient in the formula and you can smell it as soon as you open the bottle. If you do research on alcohol in skincare, you can find there are 'good' alcohols, and 'bad alcohols', and denatured alcohol (written as alcohol denat. in the ingredients list) is one of the bad alcohols, and while it helps to degrease the skin and penetrate the top layer, the cons really outweigh the pros. It is extremely drying and weakening to the skin. It's a shame, as I had actually bought two of the Christmas packs as I had such high expectations, but very little knowledge of the product's ingredients. In conclusion, I would not recommend this product. On skins with an impaired barrier function, alcohol can be somewhat drying, but in properly formulated products it helps increase penetration of active ingredients. The skin’s barrier is made of external and internal components. On a skin with a healthy intact barrier, alcohol is used to remove thick oxidising triglycerides that make sticky sebum, this aids in the penetration of active ingredients. The alcohol evaporates before it can reach the internal barrier components of lovely ceramides and inter cellular lipids that keep your skin soft. The ingredient that causes the most damage and complete removal of the skin’s barrier is a foaming agent, this is why we recommend using Liquid Gold with a non-foaming cleanser. The Instant Facial is a slightly higher pH at 3.5 and is a gentler option. Although I haven't tried it myself (and not sure if I will yet), Alpha H sell a product called 'Instant Facial' which is very similar to Liquid Gold (you apply the same way and also contains glycolic acid), but does not contain denatured alcohol, which may be worth checking out. Alpha-H Liquid Rose Gold is the first chemical exfoliant I have used and it has been an absolute game changer. I already notice results after such a short time of using it. My skin is so much smoother. It is more gentle then Liquid Gold which is perfect for my dry, sensitive skin. I use it every second night before bed followed by serums/ moisturiser. The packaging is gorgeous and it has a pleasant scent. Alpha-H is an Australian company which is an added bonus. I've been using the original liquid gold for a few years, and picked up the Rose version when it was on special recently. The style of the packaging is the same, but I like the colour combination better on this one - feels a little more luxe. In terms of actual use - the smell is amazing, and I struggle to use normal liquid gold now because it doesn't smell as nice! I don't think it is quite as effective as traditional liquid gold, but it is definitely gentler and I can use it more frequently. Unlike the Alpha -H Liquid Gold this one has Rose water in it which is gentler on sensitive skin. This product has Glycolic Acid which is a common ingredient in most chemical peels that exfoliates and removes the outermost layer of the dead skin cells leaving you with a brighter completion overnight. After using this product a few times I started to notice that the hyper pigmentation and acne scars on my cheeks started to fade. Use at night only and always use sunscreen the day after. The glycolic acid takes off the old layer of skin the skin underneath is a little more sensitive. Also if you have dryer skin its best to use a moisturizer afterwards. Not as good as the original.. I've been religiously using Liquid Gold for several years now, and decided to try this product when I ran out recently. It claims to deliver the same resurfacing results, but provide more hydration, making it more suitable to sensitive skin types. Firstly, the packaging is much prettier than the original. It is white with rose gold trim, as opposed to the dark gold with white trim. The product also has a nicer floral scent compared to the original. In regards to results, I think my skin responds slightly better to the original. But honestly there is not too much difference between the two. Both are really nice resurfacing toners that are made by an Australian company, it would just come down to personal preference. Patch test prior to use (I have sensitive skin and have had no issues with this product, but there is a slight tingling). Better to be safe than sorry. Anyone wanting to incorporate a chemical exfoliant into their skincare routine. I've used Alpha H's original liquid gold formula and loved the results so had to try this rose gold formula. This comes in a 100ml bottle and whilst it seems small in size a little goes a long way. I've been using this once or twice a week at night under my serums/night creams.  It has a liquid consistency and is applied like a toner on a cotton pad. Only a tiny bit is required to be applied to entire face. Very similar to the original formula however has a subtle scent. This exfoliates the skin in a gentle way without any scrubby granules. I see the results the following day. My skin looks and feels smooth, looks more even, more refined and has a healthy looking glow. I love the results. My skin is on the dry/sensitive side and it feels very gentle without any adverse reactions. I'm torn between whether I like this or the original formula. I do love the subtle rose scent of this. Seeing the results I get from this keeps me wanting to use. Not to be over used and must be followed up with a moisturiser. Also be sure to apply an spf sunscreen during the day as one it should be an essential part of your regime and also this product can cause sun sensitivity. I really enjoy using this and will continue using. Recommend! Use once to twice a week.